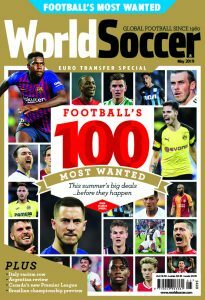 The summer transfer market is almost upon us and the coming months will, inevitably, be dominated by big-money deals, the scouting of promising youngsters and general wheeler-dealing. This year, however, UEFA’s Financial Fairplay (FFP) regulations loom large. Whether we witness the last of the big spenders remains to be seen, but a new mood of fiscal prudence is certainly influencing club spending patterns. FFP is UEFA president Michel Platini’s plan to curb the excessive spending by clubs who have, over the past decade, enjoyed backing from sugar-daddy owners or financial injections in the form of bank loans and overdrafts. Next season will be the first monitoring period for FFP, which will require clubs to balance their books by 2015 in order to gain a licence to compete in European competition. The rules are designed to ensure that clubs spend within their means on wages and transfer fees, with UEFA hoping to create a more level playing field for clubs throughout Europe. UEFA will allow clubs to register losses up to a total of ¤45million (almost £40m) over three years from 2011-12 in preparation for FFP. Losses of ¤30m will still be allowed in the following three years after 2015 as clubs are encouraged to regulate their spending. As ever, the devil is in the detail. Money spent on stadium and youth development does not count as expenditure for the purposes of FFP, while clubs must also prove that commercial deals have been agreed at market rates and not engineered by rich owners to circumvent the rules. Clubs will have to supply audited accounts to UEFA via their national associations. A “financial control panel”, headed by former Belgian prime minister Jean-Luc Dahaene, will decide whether clubs have met the FFP criteria – and how to punish those who fall short. UEFA is keen to point out that exclusion from European competition is the ultimate sanction, the punishment being a last resort. “We have a slope that leads to Hell, which is exclusion from competition,” William Gaillard, Platini’s closest advisor said. Before offending clubs are excluded from UEFA competition, they could be fined or monitored for a year while given a chance to reduce their overspending. “It is not the case that if you are in breach of the regulations, you will be excluded,” said the UEFA official. UEFA is also likely to consider the general trend of a clubs’ indebtedness. 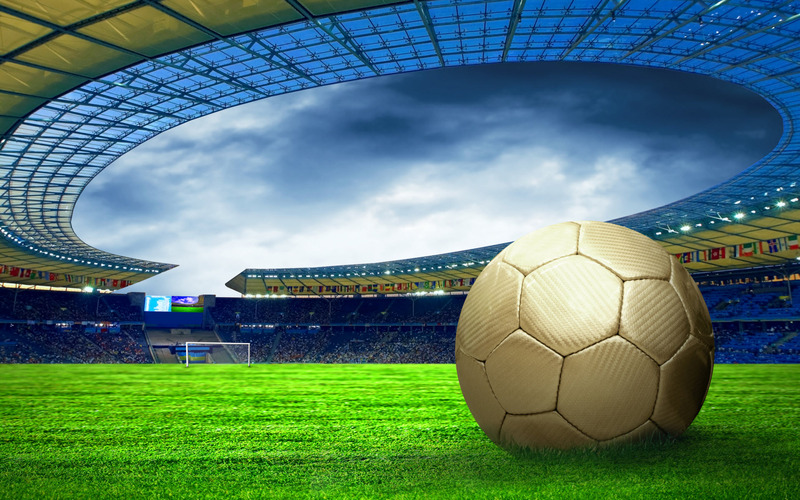 In part, English clubs have come under greater scrutiny simply because they are more open about their finances than those in other countries – such as Italy – where there is less financial transparency. English clubs spent a record £225m in the January 2011 transfer window, though a significant proportion of that figure involved the recycling of money from the deal that took Fernando Torres to Chelsea from Liverpool. Already, the signs are that the new regulations could impact on this summer’s transfer spending. This time last year, Manchester City had already identified such targets as David Silva, signed from Valencia, James Milner of Aston Villa and Hamburg’s Jerome Boateng. However, this summer, irrespective of whether or not they qualify for the Champions League for the first time, City are likely to embark on a clear-out of names – Carlos Tevez, Emmanuel Adebayor, Shay Given, Wayne Bridge, Shaun Wright-Phillips, Roque Santa Cruz and Jo – before signing any big-name targets. The sale of Tevez would be controversial given his high-profile status within the club, but it would provide the funds for the acquisition of Wesley Sneijder or Alexis Sanchez. While qualification for the Champions League may prompt City owner Sheikh Mansour to loosen the purse strings in anticipation of increased revenues, others are likely to rein in their spending if they fail to qualify for next season’s competition. Tottenham Hotspur, having exceeded all expectations in reaching this season’s quarter-finals, will face speculation over the future of players such as Gareth Bale and Luka Modric. Spurs insist Bale is not for sale, but a big-money deal could fund a series of acquisitions that would boost a push back into the Premier League’s top four next season. Similarly, Bayern Munich will come under pressure to part with the likes of Arjen Robben, Bastian Schweinsteiger and Franck Ribery if, as seems likely, they finish outside of the Bundesliga’s top three. On the other side of the coin is a club like Lille, for whom Champions League qualification is likely to enable them to keep hold of much coveted Belgian midfielder Eden Hazard. Elsewhere, spending patterns are likely to be determined by possible coaching departures, with the uncertain future of Carlo Ancelotti at Chelsea leading to doubts over summer plans at Stamford Bridge. to be more selective this summer. Belgian teenage striker Romelu Lukaku has been heavily linked with a move to London, while a marquee signing – like a Kaka or Neymar – to satisfy the ambitions of owner Roman Abramovich cannot be ruled out. Both Chelsea and Manchester United are in need of a creative injection in midfield – hence the links with Inter’s Dutch playmaker Sneijder, who could be sold to fund a renewal of the Italian club’s playing resources after they surrendered their Ieague title to city rivals Milan. Across London at Arsenal, the long-term future of captain Cesc Fabregas remains uncertain – witness the angry reaction by Arsene Wenger to an interview given by his captain to Spanish magazine Don Balon. Arsenal had hoped Fabregas would use the opportunity to declare his commitment to Arsenal; instead, he claimed that leading coaches in Spain would not survive for three years without winning any silverware – a comment which was interpreted as being critical of Wenger, whose Arsenal have not won a trophy for six years. Wenger accused Don Balon of “twisting” the midfielder’s words, but a tape of the interview revealed that the magazine had reproduced the Spaniard’s words verbatim. Wenger’s outburst was a reflection of the frustration he feels at his team again falling short this season. A new goalkeeper and a dominant centre-back are Arsenal’s priorities in this summer’s dealings, irrespective of whether Fabregas stays or goes. The Arsenal star remains highly coveted by Barcelona and Real Madrid, although both clubs have priorities in other positions, notably in defence, where Madrid are keen to sign Portuguese left-back Fabio Coentrao. For all their success under Pep Guardiola in recent years, Barcelona’s transfer record has produced a significant overspend. Marketing director Laurent Colette admitted recently that only their £125m sponsorship deal with the Qatar Foundation had prevented the sale of star players such as Lionel Messi. Spanish football is more indebted than any other country in Europe, with estimated debts of more than £3billion, so it remains to be seen whether FFP can install greater fiscal discipline to the spending patterns of clubs such as Villarreal, Valencia and Atletico Madrid. In Italy, there is general cynicism that UEFA would ever ban a club the size of Milan or Inter from the Champions League. Over the past decade, Inter have spent as heavily as the likes of Chelsea and Manchester City, but their lack of detailed annual accounts makes it hard to nail down the exact cost of last year’s Champions League victory. Milan coach Massimiliano Allegri recently called on club owner Silvio Berlusconi to spend big in this summer’s transfer market. The reality is that Milan’s deals are likely to remain relatively modest, with Bosman deals for defenders Taye Taiwo of Marseille and Roma’s Philippe Mexes on the cards. Brazilian playmaker Paulo Henrique Ganso of Santos could be Milan’s most high-profile signing. Palermo’s Argentinian striker Javier Pastore and Udinese’s Chilean winger Alexis Sanchez are both high on Inter’s wish-list but they may be outmanoeuvred by either of the two Manchester sides, United or City and may have to sell in order to buy. Juventus appear determined to confirm Alberto Aquilani, paying Liverpool £13m for the privilege, while the club is apparently considering the sale of goalkeeper Gianluigi Buffon to help balance the books as they head into their first season in their new purpose-built stadium (on the site of the old Stadio delle Alpi). and Neuer set to replace rookie Thomas Kraft at Bayern Munich. South American youngsters who could be heading to Europe include River Plate duo Erik Lamela and Rogelio Funes Mori. Although Chelsea recently bucked the trend by signing Brazil Under-17 starlet Lucas Piazon from Sao Paulo, the Iberian peninsula remains the first port of call for South America’s most promising talent. Juan Manuel Iturbe, the Argentina-born Paraguay sensation from the recent South America Under-20 Championship, has confirmed he will join Portuguese champions Porto when he turns 18 in June. Iturbe’s arrival is likely to prompt the sale of either Brazilian striker Hulk or Colombian forward Falcao. The Europa League finalists have been one of the most effective operators in the European transfer market over the past decade. Their “buy low, sell high” policy may have disappointed fans who have seen star players depart on an almost annual basis, but as a blueprint for financial stability, it has been hugely effective. It may well prove to be a strategy that is copied by an increasing number of clubs seeking to comply with UEFA’s new era of financial prudence.